At Thought Bubble in Leeds this week, who should I run into but John Hendrick from Big Bang Comics in Dublin. 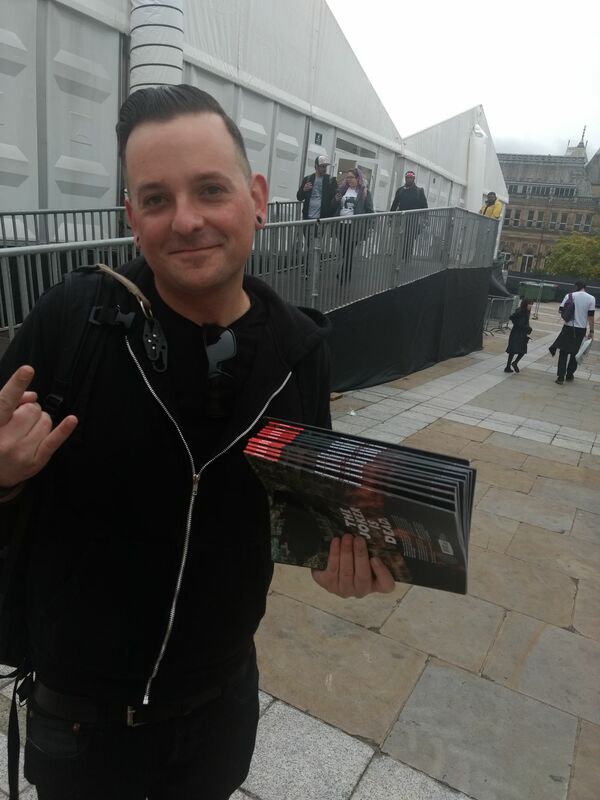 Fresh from the ComiXology Marquee at the show where Lee Bermejo has been signing comic books and taking commissions. Signed (in gold pen) on the cover though. Not on the page – or member – in question. I mean, he has some taste. The Other Major Heroes In Crisis #1 Death Confirmed? Really?